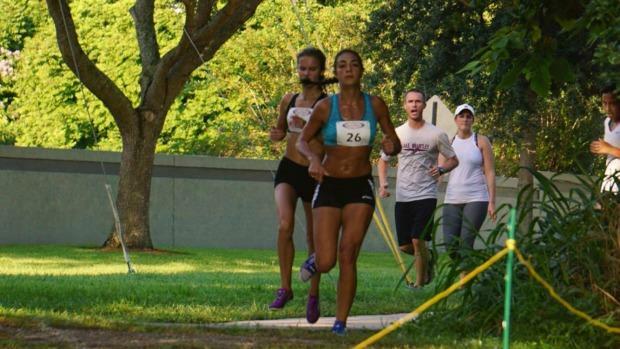 The Mike Gibson Summertime Run has been a pre-season staple in Seminole County. Lyman junior Bryce Bell and Hagerty senior Nicolette Worrell came away with victories as the 2016 regular season is right around the corner. In the girl's race, Lake Brantley freshman Ashley Klingenberg and Lake Mary junior Cheynne St. Lewis led the race with Worrell sitting about ten yards behind the duo, and moving up into second with one mile left to go. With Klingenberg, the 2015 FLYRA Middle School state champion in the lead, Worrell didn't create any break until half way to go in the race, and pulled away in the closing meters of the race winning in 20:09.20. She says the race was fun and she didn't feel too much pressure. "I hung on to the front couple of girls and started to move up around the 2nd mile. I kept cruising with Cheyenne and Klingenberg and felt good enough to move ahead. During the last 100m, I was just trying to hold onto my pace through the finish and keep from slacking at the end, but Klingenberg definitely helped with that!" Worrell added that it felt good to have push through the entire race and tune up for the season with a win. "I feel great after this race! I'm comfortable in my training and I was very excited after this race because I had just come off being sick. I'm pumped to see what the rest of the season has in store because there are some really great girls running and I'm looking forward to racing them." Coach Jay Getty says overall he was happy with her performance. "We worked really hard this week so it was a good day on a slow course in humid conditions." Klingenberg crossed the line in second place at 20:10.08 while St. Lewis of the host Rams was third in 20:15.76. Lake Brantley won the girl's team title placing four runners in the top ten and all under 22 minutes and scoring 36 points. Hagerty, with individual champion Worrell, was second with 45 points, and Lake Mary (49 points) rounded out the top three. In the boys race, junior Bryce Bell takes over the number one role for the Lyman Greyhounds after the graduation of Joshua Jacques and Jordan Armstrong. Bell took the lead early on and lengthened the gap as the race went on and conquered the field in 16:32.33, more than 30 seconds faster than runner-up . 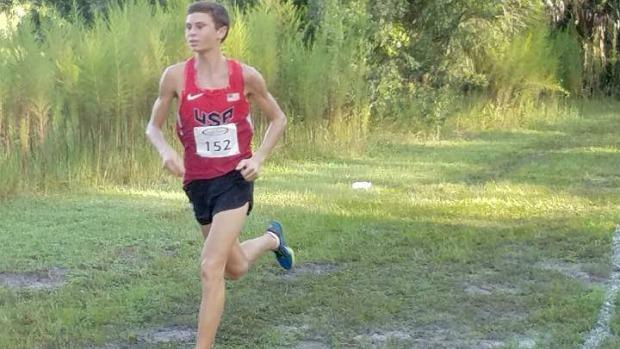 Caanan St. Lewis of Lake Mary and Bell's teammate Paul LeGrand battled it out for second throughout the race, but in the end it was the member of the host Rams, who finished as the runner up in 17:07.24 with LeGrand in third at 17:15..66. Oviedo won the team title with five guys in the top 13 and a total of 42 points. Lyman (67), and Hagerty (77) rounded out the top three teams.